I wanted to end the year with a message song, so I wouldn’t have to pontificate anymore in my short time between road trips. 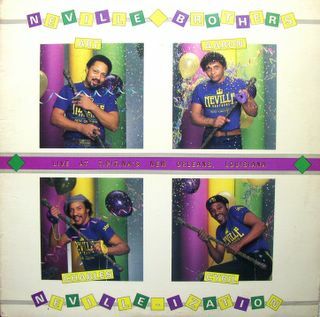 And when it comes to message songs and pontificating, you can’t beat Cyril Neville. Sometimes his are more like manifestos set to music – had he come up a little later he would have been quite a rapper – but, when they click, the music and lyrics make us think, and dance. Such is the case with “Fear, Hate, Envy, & Jealousy”, where, with the Neville Brothers band live at Tipitina’s in 1982, Cyril puts his own list of sins deadly to the world (what, no greed?) 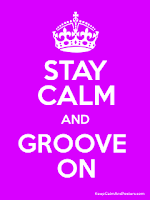 to a funky groove, courtesy of ‘Mean’ Willie Green, with a nice Caribbean feel to it. His brother, Art, helps out with the vocal. I took this cut from the band’s 1984 Neville-ization LP on Black Top, which has been re-issued several times on CD via other labels, as well. The Neville Brothers have had a rebirth of their own since they found their groove again on their Walkin’ In the Shadow Of Life CD in 2004. As I have said here previously, I think Ivan Neville’s return to the band on keyboards, arranging and songwriting brought their sorely missed groove back; and his added vocals give the mix a bit more of a rough, dark edge – and that’s a good thing. The record is worth picking up. Now, I’ll try to shut up and let Cyril and Art sing it; but I can’t help thinking of Syriana, which I saw last night, when I hear it. Have a happy and safe new year. Keep New Orleans on your radar and the map. See you next week. Since I’d promised something else from the Meters before the month was up, I’ve chosen this B-side (forgive me, Red) of their “Hey Pocky A-Way” single, taken from the Rejuvenation album. If you ask me, it’s a double A 45. When these conjure men slip into trance mode and channel the Motherland on “Africa”, I am pulled right in. It’s an untouchable example of their so-tight-it’ll-loose-the-booty ensemble playing. That’s Zig singing “take me back”, while his drums speak in tongues and get him (and us) there in no time. As for the subject of the song, look no farther for the roots of funk, groove-oriented, god-summoning, polyrhythmic music, than the Dark Continent, as we mutated white people once called it in ignorance. It is, after all, the undeniable starting place of humanity and, too, of the atmospheric disturbances that grow to rage against our coasts. If I had to sum up the triumph and tragedy of New Orleans music this year, certainly the high point, from the HOTG perspective, has to be Meters reuniting for what seemed to be at first a one shot Jazzfest revelatory payday, but blossomed into a series of dates around the country with more possible, a joyous group rebirth to be sure. The tragedy, of course, involves the still unfathomable consequences of the levee and leadership failures post-Katrina that laid waste not just to a city and its people, but to a culture. We may still in mourning; but, when we hear the funeral band let loose on the way back from the graveyard, the ones left behind must start to second line, forget our cares, and hope for the best of whatever is to be. As the Meters discovered earlier this year, music can make you whole again. It’s not exactly a joyous time in these parts. Where I am is fine, full of holiday traffic, canned Xmas tunes in the stores, etc; but just down the road it’s still debris fields, displacement and/or homelessness despite a few flimsy FEMA trailers getting hooked up, loss of livelihoods, spotty utility service from bankrupt or disrupted suppliers, disservice from the insurance industry and federal agencies, and lip service from the politicians. There’s a guy in New Orleans I just read about who has decorated his flood-ruined house with festive skeletons dressed as Santas and elves.You get his drift. So, if you’re not in the midst of all this, count your blessings, enjoy and appreciate your loved ones, the roof over your head, your job, heat, food, more than ever. On that cheerful note, it’s time for a little something extra for the short-term Christmas break. 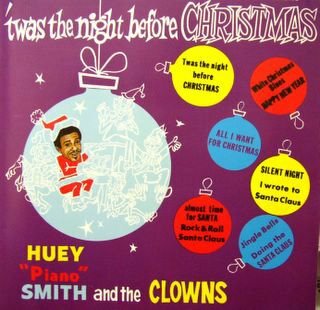 Our first offering is from the 1962 Ace album by Huey Smith and the Clowns, ‘Twas The Night Before Christmas, featuring the group’s cool takes on some tradition holiday tunes, several original ones by Smith, plus one by Earl King, “Rock ‘N’ Roll Santa Claus”, that I featured last year. Who can argue with the sentiments of Huey’s “All I Want For Christmas”? Music is always high on my list. That’s Curley Moore singing out the names of the dances, joined by Gerri Hall and John “Scarface” Williams, among others. Of the players, all I can tell you is that Smith is on the piano, Mac Rebennack is on guitar, and Red Tyler is probably one of the sax men. Huey and band were the premier purveyors of novelty tunes in the Crescent City from the later 1950’s through the mid-1960’s. By 1962, long-time lead vocalist (and female impersonator) Bobby Marchan had left the band, replaced by Moore; and the aggregation had rejoined Ace records after a brief, hitless stint with Imperial. On Ace again, they scored with “Popeye”, named for the local dance craze, before recording ‘Twas The Night Before Christmas. The story has been passed around that this album was withdrawn from the market shortly after its release because people were offended by these innocent, fun-loving seasonal songs done R&B style. But, in fact, the LP just was not promoted or distributed properly by Vee-Jay Records, which had a marketing deal with Ace, and went nowhere fast. In any event, it became legendary in its rarity until it saw an Ace vinyl reissue (in the 1980’s I think); then WestSide put it out on CD in 1998. If you're a fan of Huey's doin's, you should already have some of his early work; but, if you don't, it's time to grab some. 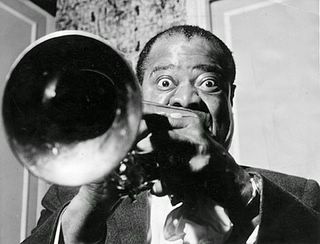 Goodie #2 is a classic from the iconic Louis ‘Satchmo’ Armstrong, whose gifts did so much for jazz and popular music. Over his long career, his remarkable talent, soul and spirit spread worldwide and spoke eloquently of his hometown roots, although he had moved away as a young man and never lived there again. “Christmas In New Orleans” never fails to give me good cheer this time of the year. I hope it serves you well, too, whether you observe this or that holiday, or none at all. Merry Christmas, Cool Yule, or Happy Holidays and Funky Festivus to y’all. Don’t let New Orleans and the Gulf Coast be forgotten in the coming year. Oh yeah, and Peace. Allen Toussaint was writing all the notes, everything you hear on those songs was written out. Every note! There wasn’t any improvisation there. –Leo Nocentelli, sundazed com. When we’d go in the studio with Allen for a couple of days, we would be cutting tracks for eight, ten hours every day. There wouldn’t be an artist there. We’d just be cuttin’ tracks. A lot of these songs went to Lee Dorsey. -George Porter, Jr. as quoted by Bill Dahl in the CD notes to The New Lee Dorsey. When Allen Toussaint hired them as his regular session band in 1968, the Meters started laying down tracks that would be some of Dorsey’s last releases on Amy in 1969. I think there was one more on Bell, also, before Dorsey got a deal with Polydor, and the classic Yes We Can album was done in 1970, again with the Meters playing under Toussaint’s direction. “Give It Up” was not only on Dorsey’s final single for Amy, where he and Toussaint had their greatest commercial success together, it was the final single ever released by the label, which was going under at the time, taking the record’s chances with it. Be that as it may, I love this song and find it to be a fine example of the way Toussaint worked with the musicians to make his patented clockwork funk arrangements. In the Meters, he found a session team whose proclivities perfectly suited his needs and enabled him to easily get what he wanted in the songs he wrote for Dorsey. Once he put the syncopated parts together and the band set them in motion, all the singer had to do was come in after hours from his body and fender business and work his charms with Toussaint’s words. And another cool tune was born. This was the period when Nocentelli was cutting a lot of tracks using that faddish electric sitar, which had a limited range and just sounds quaint (to be generous) these days. But everything still works well together on the track: hip horn charts, Porter’s great bass work, Toussaint’s piano and Art’s organ (mixed low) and Zig’s simple sticking on top of a tricked up kick drum. This effective set up continued on the Yes We Can sessions, after which the Meters began concentrating more on their own newfound recording success and worked less on backing sessions as a group. And, although that LP’s title track charted for Dorsey, it only briefly got up to the middle of the Hot 100; and sales were tepid at best. 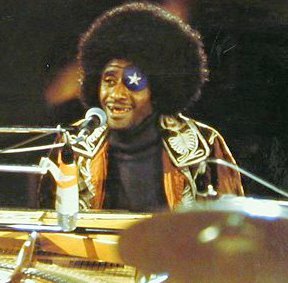 The Yes We Can album was well-liked by reviewers and other recording artists, though; and many cover versions of Toussaint’s songs from the LP and related singles came out over the next few years by the likes of the Pointer Sisters, Robert Palmer, Little Feat, Three Dog Night, and Van Dyke Parks. But Dorsey’s career went into decline; and he didn’t record again until the Night People LP in 1978, which was his last. He passed away in 1986. One of my favorite New Orleans vocalists since “Ya Ya” first came out, Lee’s on the HOTG December birthday list, too, along with most of the Meters; so, I wanted to get another one in with them before Christmas lagniappe begins in a few days. P.S. - As Red points out in the comments, dig those background vocals from Toussaint, which I forgot to note last night in my sleep deprived haze. He often contributed to the background vocals for his artists, but these are some of his wildest - those moans always make me laugh. I admit I am crazy about Irma Thomas. I played at least one song by her, and often more, every week on my radio show in Memphis for 16 years, and have heard her perform live as much as possible, not to mention acquired most of what she ever recorded in one format or the other. While Irma’s voice doesn’t have an expansive range, it has always possessed a quality that is just. . . real. . .to me: a certain rough edged, back o’town, sensual tone that can deliver the goods with strength, conviction and feeling. Even in her youth, when her voice was much higher and lighter than the rich, deep contralto age has blessed her with, she never sounded overly sweet or superficial and could dig down into a song like “Ruler Of My Heart” and make it gut-wrenching. Between 1961 and 1963, Irma worked with producer/arranger/songwriter Allen Toussaint at Minit Records on a string of seven singles (one of which came out on the Bandy subsidiary). Most of them , including "Ruler" are justly considered her classic recordings, the other choice sides being “Cry On”, “I Don Got Over It”, “It’s Raining”, and "Hittin' On Nothing". While “Two Winters Long”, from her fifth Minit 45, may not quite measure up to those; it is a personal favorite of mine, and especially good to hear around this time of year. Like "It's Raining", this song has more of a pop feel to it, but the effectively spare arrangement features an unusually patterned latin beat, probably featuring John Boudreaux on drums, that sets it apart. Other notable aspects are Toussaint’s use of organ rather than his usual piano, and the very cool bass line on the verses (likely by "Chuck" Badie). Irma summons just the right tone of hurt and longing in her delivery; but, unfortunately, her vocal sounds a bit distorted on the recording. I initially thought this was just an artifact of my particular 45, maybe a bad pressing or unseen groove wear. But I hear the same thing on vinyl LP and CD comps, which indicates a flaw in the initial recording process itself. The arrangement and feel always reminded me of another song of the era that I couldn’t quite place. The other day, it came to me that it's kind of a cross between two Mary Wells Motown hits from 1962, “The One Who Really Loves You” and “You Beat Me To The Punch”, both of which have that kind of latin groove going on under her smoothly sung vocals. 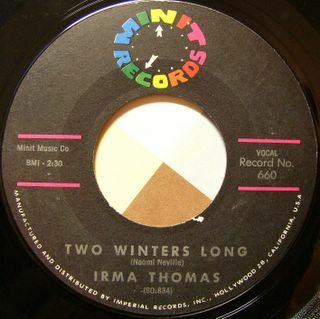 Irma’s single was recorded late in 1962 (either November 30th or December 4th) and released shortly thereafter; so, Toussaint, who wrote this tune and the B-side, “Somebody Told You”, under the maiden name of his mother, Naomi Neville, could have been influenced by those Wells singles and wanting to move Irma in the direction of their success. After all, seeking hits for a singer as talented as Irma Thomas was his job; but their work together never achieved mainstream popularity, due mainly to distribution problems, and was soon to end with Toussaint's induction into the Army and Minit's sell-off. In the next few years, as she moved on to Imperial Records, Irma would be pushed farther into the pop arena by various producers with little success. Allen even wrote and produced another one for her ("What Are You Trying To Do") at the end of her run with the label that though promising failed to score. Her timing and luck were always off when it came to having major hits; but that has not kept Irma from having a long career in music that, in spite of numerous setbacks, continues to this day, with fans like me from around the world wishing her well as she and her city work to rise again. 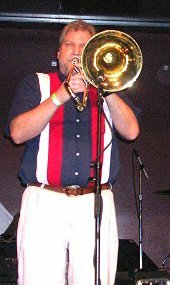 As reported by the Reaper (certainly no joke) here in the comments yesterday, Brian O'Neill, one of the four formidable front line trombonists from Bonerama, died Friday in New Orleans. Fifty years old when he passed, Brian played mostly the bass trombone in the band, contributing mightily to their massisve sound. There is more news at the band's webiste link. Though I know the band's founders, Mark and Craig, better, I met Brian briefly at a gig im Memphis a few years back. He will be missed; and his loss contributes another sad story to an incredibly bad news year in New Orleans. If you are a fan, you can offer condolences, etc. on their message board. If it will help at all, can we just start 2006 early? Continuing the birthday tributes – it’s remarkable how many HOTG musicians were born in December – I couldn’t run a James Booker post without also giving props to Professor Longhair, Henry Roeland Byrd. Fess was an extremely important instigator of funk, as it emerged in post-WWII New Orleans rhythm and blues. After performing as a street dancer early in life, Fess took up the piano and developed an intensely rhythmic and percussive piano style. While pounding the keys, he could kick an upright piano so often and so hard that he put a hole in it. So tricky were his rhythms that he would have to school drummers at sessions or gigs on the proper accompaniment for his songs. There are distinct Caribbean and Afro-Cuban elements in his playing, as well as that homegrown second line parade syncopation. He could also lay down his own quirky take on barrelhouse boogie woogie, do straight slow blues, country songs (! ), plus rollicking concoctions of rock ‘n roll, R&B, and funk, such as what I am featuring here today. This instrumental workout is from a German concert during his first big European tour in 1978, just a few years before he passed on. It’s called “Stompin' with Fess” here, but in his many other recordings of the tune, it is called “Doin’ It”. This is one of the best recordings of the piece, I think, as the whole band is blowing full force; and Fess’ piano is mixed well. With no reliable documentation, I am going to assume that the tour band is similar to others he had for live gigs at this time with David Lee or Johnny Vidacovich on drums, Will Harvey on guitar, George Davis or David Lee Watson on bass, and Andy Kaslow and Tony Dagradi (now in Astral Project) on saxes. Alfred ‘Uganda’ Roberts was his long-time percussionist; but I don’t hear him on this set. The list of New Orleans pianists who have acknowledged their debt to Professor Longhair is long, but includes Dr. John, Allen Toussaint, James Booker, Art Neville and Huey Smith. But, as I say, it’s not just the piano players he influenced. The uniquely earthy, elemental funk sense that pervaded his playing and writing was infused into the musical bloodstream of everyone who accompanied or heard him and has become a part of the cultural roots of the city and its musicians. Over the years, even before he was finally recognized for his contributions late in life, he had a profound effect on the feel, the attitude of Crescent City popular music. To my mind, you can’t truly understand the essence of HOTG funk without going back to Professor Longhair and studying what he has to teach. Well, I said I’d get around to putting up one of James Booker’s piano excursions; and now seems like a good time, as his birthday comes around on the 17th. He would have been 66 this year, had he not passed on shortly before he turned 44. With Booker, the overused and undervalued term “genius” is often bandied about and is apt. He possessed an elemental spirit, an overwhelming endowment of talent, and a keen, unorthodox mind. He had a long career, starting in the 1950’s, as a sideman, and but never recorded all that much under his own name. While his only “hit” was one of his fairly tame organ numbers, “Gonzo” in 1960, his true nature is revealed in his often over the top, stream of consciousness, polymorphous piano playing. His overflowing keyboard facility could amaze and delight his audiences; but Booker’s performances could also be erratic, disjointed, abrupt and sloppy. Sometimes this was the case within the same song! Such were the challenges of encountering his capricious creativity mixed with a possible bipolar disorder and a long-term relationship to King Heroin. Yet his influence is proudly claimed by many keyboardists in New Orleans (Dr. John, Jon Cleary, Tom McDermott, Harry Connick, Jr., et al) and around the world; and he has inspired an enduring cult following. It is impossible to pick any one performance or recording that is truly representative of all James Booker could do at the piano. For this post, I’ve picked one of his versions of Allen Toussaint’s “Life”, which Booker played often over his career. Dr. John, who was his friend and, at one point, employer had recorded it in 1973 on In The Right Place. Booker may have picked up the song playing it in his friend’s band. On this take, he displays a nicely funked up rhythmic feel while turning out some of his trademark right hand intricacies. His singing may take some getting used to; but suits his purposes. I got this soundboard recording from a friend of a friend of a friend who knew somebody. It’s from Tipitina’s around 1977. Just one of Booker’s typical solo gigs back then, often playing to small crowds. I was lucky enough to catch him at the Maple Leaf Bar in New Orleans the summer before he died. There were maybe ten people in the place, including the staff. Booker would play some amazing riffs, get halfway through a song and just stop and walk over to the bar for five minutes, come back to the piano sit and let something else rip that would just kill. Then, after a song and a half, he’s be up again ranting about something or other. It was both a frustrating and rewarding evening that I wouldn’t trade for anything. His few studio or live albums can give you but a sense of his often uncontainable energy and unconventional expertise, but are worth seeking out. His music, infused at various times with soul, humor, paranoia, brilliance and bliss, is as unique, valuable and imperfect as the city that James Booker’s called home. There he goes. . . . I suspect that most of the visitors to this blog are stone Meters fans; and, if you are at all interested in the music I focus on here, you should have at least some of the Meter’s catalogue on various media. So, I’m sure many of you have heard “Here Comes The Meter Man” before. It’s not a rare song and has been comped often; but I think it is one example of how much the group brought to the table when Allen Toussaint started recording their studio jams while they were working as his production band starting around 1968. Early on, they had a sound like no other, and grooves to match. For those who may not yet have discovered their sublime delights, this is a damn good place to start; and it’s one of my favorite tracks. 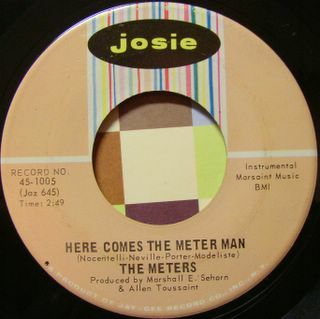 Like many of the Meters’ early instrumentals, “Meter Man” is a group composition. That it is the B-side of “Cissy Strut” on just their second single shows how strong their material and chops were. 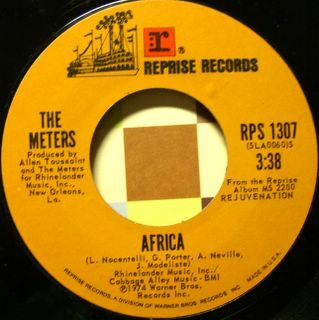 It also appeared later on their first LP, The Meters. The laid-back, mildly spicy funk of their first single, “Sophisticated Cissy” b/w “Sehorn’s Farm” in no way prepared listeners for the second 45’s salvo of pure fonk in sauce picante that shot up the chart to #4 soon thereafter, pushing their under-performing first single up into the Top 20 to boot. Who in the world was ready for what Joseph ‘Zigaboo’ Modeliste could do with the beat, other than hometown clubgoers and fellow musicians of the day? Not to detract at all from the talents and synergistic contributions of his legendary bandmates. They created the perfect context for those beats. But hearing Zig’s drumming for the first time is like discovering a new law of Nature (The Funk Quotient?). It’s easy to experience, but can be mind-boggling to think about. Fortunately for listeners, it immediately makes you feel good and move your rear, bypassing the intellect to carry you deep into the groove. Just listen to “Meter Man” and marvel how that seemingly off-balance drum syncopation can be so right-on, moving with stutter-steps, somehow both holding the song together and suggesting that it might fall apart at any time. This is the Zen-like paradox of true, high-form funk drumming and ensemble playing: loose is tight, what you leave out is as vital as what you put in, simplicity can be oh so complex. The Meters' unique take on funk, soul and rock has gained them legendary status. This month, three of the four celebrate birthdays: Zig’s is the 28th; Art Neville’s is the17th; and George Porter, Jr. came in on the 26th. They are miraculously touring again on a limited basis - see my friend Cathy’s report here earlier, or the Reaper’s and his links. What better time to heap on more props? I’ll try to come up with another cut before the year ends. Until then, go out a get yourself some (or some more) Meters and meditate on ‘em. Hope he's out there havin' fun. . . . In OffBeat’s latest Weekly Beat newsletter (so glad they're back), I read of the recent passing of Joe Jones, New Orleans pianist, bandleader, singer, promoter and talent scout whose peak years were from the late 1950’s through the mid-1960’s. So, I thought I’d share a side of his I like that was eclipsed by a garage rock cover a few years later. Joe Jones had two hit records in his career, “California Sun” being the less successful, reaching #89 in 1961. A year earlier, he had scored much bigger (#3) with the song he is best remembered for, “You Talk Too Much”, written by fellow hometowner Reggie Hall. That record first appeared on Ric; but, when it climbed the charts, Roulette took over sales and distribution, as Jones had recorded an unreleased version for them previously, allowing them to claim rights to the song. 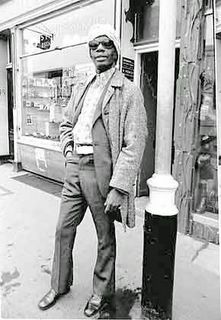 As things go in Record Land, Roulette’s sudden renewed interest in Jones when he had a sure hit allowed him to record a decent LP and several more singles for the label, the only one of which to have any impact being “California Sun”. In 1964, the song was recorded by a band of Indiana teenagers, The Rivieras. Their stripped down, guitar-organ combo, surf/rock approach kicked it up a notch and took it to #1, before losing that spot to some new group from England called the Beatles, as the Invasion got underway. While documentation is sketchy, it appears that most of Jones’ Roulette sides were done in New Orleans, including “California Sun”; but I don’t know who is playing on it. The diversely talented Henry Glover, who was working for Roulette during this period, wrote the simple but effective paean to the Left Cost lifestyle. When I was young, I heard the Riviera’s version on the radio, unaware of Jones’ take. So, I was gratified and satisfied when I finally discovered the tune’s HOTG roots and heard those tasty, honkin’ horns and driving beat with just a touch of syncopation. Though not much of a singer, Jones gives it a good natured go; but a more dynamic vocalist could have made this R&B version the one everybody remembers. Not having the single, I pulled the song from a now out of print UK CD compilation of his Roulette recordings, You Talk Too Much – The Best of Joe Jones. After losing his Roulette deal, Jones brought Earl King, Chris Kenner and Johnny Adams, along with his band, which included drummer Smokey Johnson, to Detroit in 1963 to audition for Berry Gordy’s new label. They cut many sides; but, in the end, Gordy passed on all of them, although he kept Johnson up there for a while to school the Motown drummers on the New Orleans style (a small investment that paid big dividends!). Then Jones took the Dixie Cups and Alvin Robinson to New York and got them a recording deal with Red Bird. A number of New Orleans musicians went up for those sessions, too, including a young arranger named Wardell Quezergue. This turned out well, as the Dixie Cups had a string of hits in 1964, including the #1 “Chapel Of Love” and Robinson had a minor one with “Something You Got”. Jones also did promotional work for the label, and managed and booked the acts. It was his last and biggest success in the music business. He was 79 when he died in Los Angeles. In the early 1960’s, Dave Bartholomew was nearing the end of his run as premier producer, arranger, songwriter, talent scout, and bandleader in New Orleans, having been hugely successful since his start in the late 1940’s. But the record business was changing, rhythm and blues and rock ‘n roll were giving way to soul and funk, and talented multi-taskers, such as the young Allen Toussaint, Eddie Bo and Wardell Quezergue were coming along to develop the sounds and artists of the 1960’s and beyond in their hometown. As well, the label Bartholomew had worked for nearly his entire career up to that point, Imperial, was winding down and would be soon be bought out by Liberty. But Dave did not depart quietly. He put out two instrumental LPs with his big band on Imperial, Fats Domino Presents Dave Bartholomew & His Great Big Band (1961) and New Orleans House Party (1963), that closed the books on his era with an outstanding two-part artistic statement. 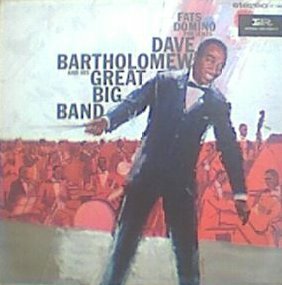 Taken from that first big band album which featured instrumental re-workings of Domino’s hits, our feature today is a brilliantly arranged and played take on the Dave Bartholomew/Antoine Domino composition, “Let The Four Winds Blow”. Bartholomew had first recorded it, doing the vocal himself, on Imperial 5350 in 1955. That version sounds rather like a demo, with out of tune horns that toot more than blow, and is not a good representation either of the song or the producer’s talents (singing was not among them). He made up for that in 1957, producing a lean, clean version of the tune for singer Roy Brown on Imperial, with a great drum groove from "Hungry" Williams, that became the singer’s final hit. 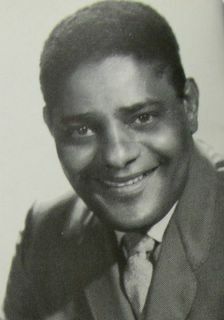 Fats also recorded a hit version of the song with Bartholomew at the helm in 1961 for Imperial. But, for me, none of the hit versions can touch this attention- grabbing instrumental interpretation, wherein Bartholomew and band pack high energy blowing and innovative, exciting stylistic shifts into a scant one minute and 55 seconds. If you want to hear state of the art New Orleans drumming in 1961, laying groundwork for the funk to come, listen closely to the syncopated chops rampant on this record. I am sure Smokey Johnson is the perpetrator. Bartholomew was using him on sessions a lot at this time and featured him on the House Party album, also. Obviously inspired by the spirited groove Johnson creates, Bartholomew has the band shifting between funky R&B and quasi-Latin feels, with plenty of instrumental syncopation thrown in, similar to what James Brown would be doing in a few years with his band. I’m pretty sure that another James (Booker) is on organ here, just from the feel of it, and the fact that he was doing a lot of sessions for Bartholomew, too, at this time. Frank Fields, long-time bassist with the band, is most likely on this date. With no session listing, I can only guess, too, that the horn section probably included such regulars as Herb Hardesty, Buddy Hagans and Lee Allen on tenors, Clarence Ford and "Kid" Jordan on baris, Bartholomew and Wardell Quezergue on trumpets, among others. Departing from the interpretation of R&B hits on his first LP, Bartholomew upped the ante on New Orleans House Party with more purely jazz arrangements on original compositions and covers that varied in style and tempo and ended up not sounding much like New Orleans at all. To me, the best tune on that LP is Bartholomew’s “Portrait Of A Drummer”, which allows Smokey Johnson to give a dynamic tour of his force on that straight ahead big band number. Since December is the birth month of both Bartholomew and Booker, I thought this rarely heard piece from the bandleader's last years with Imperial would be a fitting way to kick off the month. Hope you’ll agree.